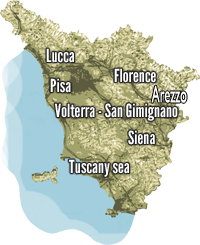 We are the meeting point between you and Tuscany. Please tell us your ideal trip by filling out the form above. We will offer you our best deals! Old houses, luxury villas or country houses comfortable: they are all facilities visited thoroughly, that we know the owners, their trustworthiness and reliability. Our packages and our proposals are the result of weekend experiences that we have lived. Now we want to share with you. What kind of traveler you are? What kind of vacation you prefer?